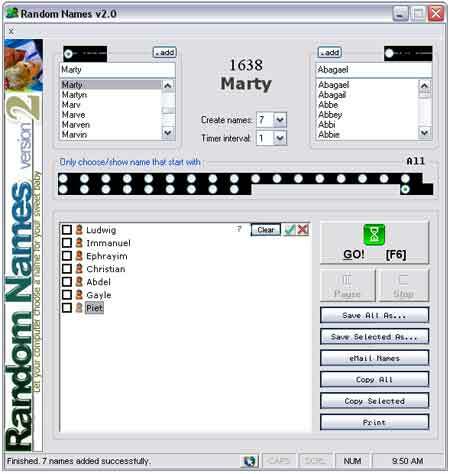 Random Names is a Free portable tool that can be used to randomly select a set number of baby names. It contains a database of over 7800 total names. 4900 daughter names and 2900 son names. So if your indecisive on a name for your baby, this tool may be just what you need. Random Names requires roughly 188KB for completely portable installation.